Hamza and Medinilla celebrate their tournament wins. For the second year in a row, the Utah Intercollegiate Tournament was won by a Ute. After losing in the finals last year, junior Slim Hamza cruised through the tournament and won the red draw without losing a set. In the finals, the No. 84 ranked Hamza beat BYU’s Francis Sargeant in straight sets, 6-4, 6-4. Ben Tasevac beat out Andrey Goryachkov (BYU), 6-3, 7-6(3), to finish third. The senior from Salt Lake City, Utah went 2-1 over BYU players in the tournament. Utah dominated the black draw all the way into the finals, where Salt Lake’s own Devin Lane and senior captain Alejandro Medinilla battled for the singles title. At the end, it was Medinilla who snuck away with the win; 7-6(8), 7-5. Ben Tasevac is a happy camper after beating yet another BYU player! 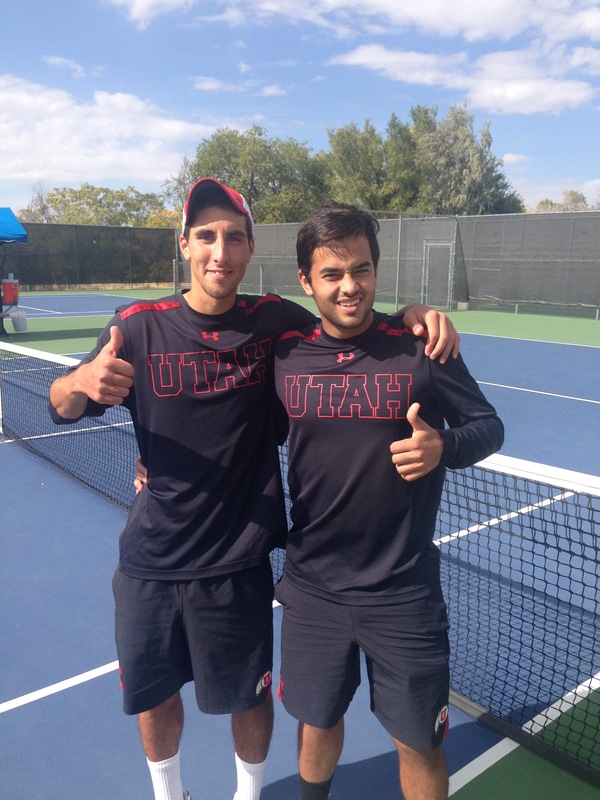 In doubles action, Alejandro Medinilla and Ben Tasevac won Group B by beating Pearce/Bourgeois (BYU), 8-7(4). The Utes started the match off slow, losing their first service game, but battled their way back into the match and found a way to win in the tiebreaker. Slim Hamza and Devin Lane were not so fortunate in Group A, losing on the final day and thereby finishing second in the group. Cameron Lee and Cedric Willems finished third after distmantling BYU’s Sullivan/Galli, 8-3. 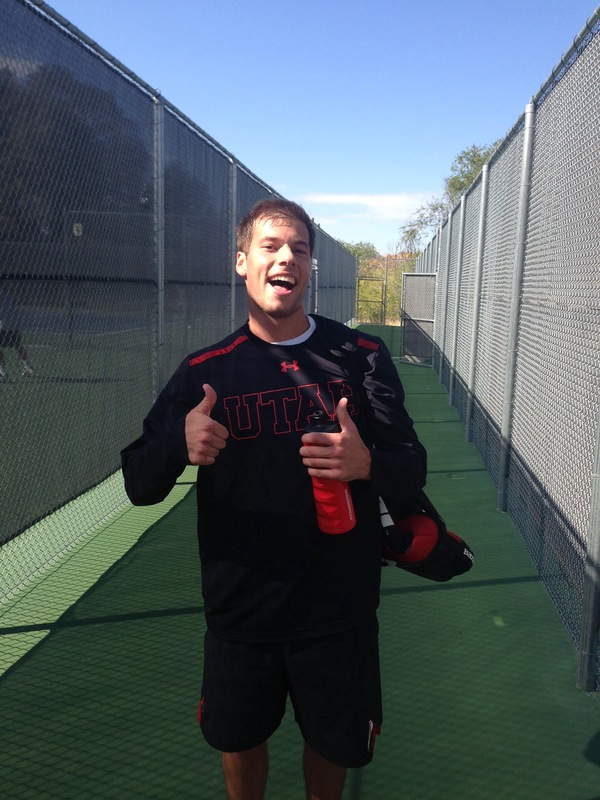 The Utes are back in action next week when they travel to Las Vegas, Nevada, for the 2013 ITA Regional Championships.